Sla Master's blog: Sla's Games Gallery is releasing soon! Hello, I've been in away for a while this summer holiday, but I'm back and even more motivated to finish the Sla's Games Gallery project and maybe start new ones after! It has been a long journey in making this project happen, a lot of coffee and pizza, but in the end, the journey its coming to an end with the release of the game, that wouldn't stop me from continuing it, there will be new games added and new features implemented but with your feedback. I'm very excited to launch this game, being my first game ever released on multiple platforms and not a game mod like my other projects. I'm quite nervous but very happy/excited to launch it. I'm currently looking for people to do beta testing before the release, if you're interested you can contact me on G+ or any other social media. You'll receive the unfinished game for testing and of course I will take your feedback and improve the game. There are some bugs that must be fixed before launching, the game was supposed to launch this September but with a lot of bugs being discovered daily and some never have been fixed, the game launch date is now unknown, but it's sooner than you think. In meantime, I make some daily videos of my game on YouTube and of course, don't forget to check my new series of 'Dev.SGG' on Twitch (streaming every Saturday night GMT+2). As quick note, the technology behind SGG has been used in my demonstrations with JEL Robot (you can gather more info here). 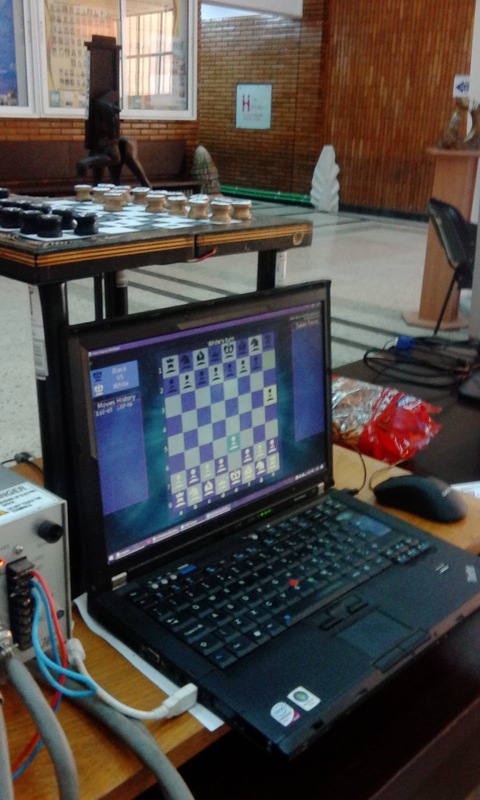 A modified version of SGG Chess running. It's controlling a JEL SCARA Robot doing moves. The game have been also improved with a custom AI Library, this can't be included with SGG, but we're trying to get our own AI in SGG Chess! This demonstrates the power of SGG technology and also the power of Love2D framework overall. See you next time on a new SGG adventure!